AUGUSTA, Ga. — Bryson DeChambeau swears by science. Brooks Koepka is all about his routine. 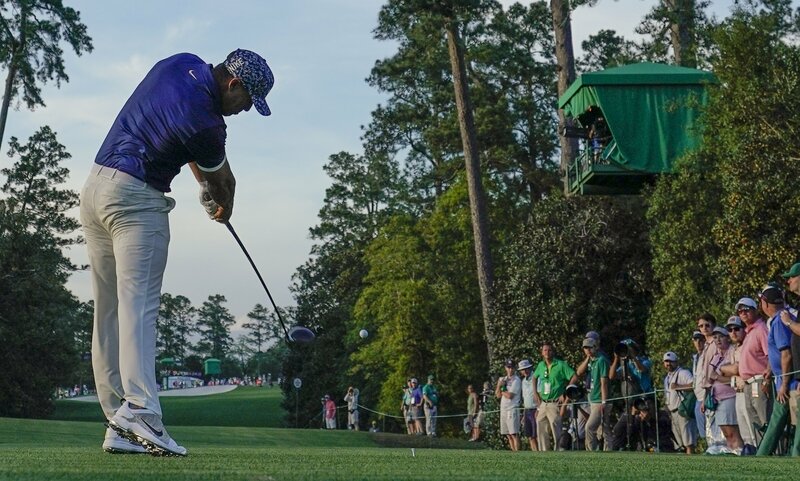 The Americans atop the Masters leaderboard have vastly different strategies when it comes to golf, but both have figured out something that works at Augusta National. They each shot a 6-under 66 in the opening round — blazing through the back nine — and will look to keep that momentum going when they tee off Friday morning. The 25-year-old DeChambeau charged up the leaderboard on Thursday by making birdies on six of the final seven holes. His only setback was a bogey on No. 14. DeChambeau said improved play with his wedges and irons has made a major difference in his game. After Thursday’s round, he detailed a marathon 14-hour practice session last week in Dallas where he tried to figure out the problem. He used terms like “spin loft curve” to describe. Not everyone understood. But DeChambeau does, and that’s really all that matters. Now he feels like he’s ready to contend for the win in his third Masters appearance. The 28-year-old Koepka also had an impressive finish on Thursday. He played a bogey-free round and made five birdies on the back nine. As usual, his combination of long, straight drives and solid putting was a formidable mix. He’s already won three majors, including two U.S. Opens and a PGA Championship. Now it looks like he’s ready to contend at the Masters after missing last year’s tournament because of a wrist injury. Plenty of big names are chasing DeChambeau and Koepka. Three-time Masters winner Phil Mickelson is one shot back after shooting a 67. The 48-year-old was at even par through 11 holes on Thursday before closing with five birdies on the final seven holes. Ian Poulter and Dustin Johnson are two shots back. Adam Scott and Jon Rahm are in a group that’s three back. Tiger Woods begins the day four shots back after shooting a 70.